This morning I decided to continue playing with my China Glaze OMG collection, and tried out LOL topped with Essie Lilacism. For these nails, I used three coats of China Glaze LOL as the base color. Like 2NITE, the application was very nice and the dry time was super fast. The holo purple was very pretty by itself, and I was almost tempted to leave it alone, but I wanted to try out my new Essie as a stamper. Below is LOL on its own, with no Konad pattern. I used Konad m78 for the stamping, with Essie Lilacism as the polish. I feel that this stamped very nicely. This is the first Essie I have owned or used, so I was excited to play with it. I am also excited to try it as the main base color sometime soon! I topped everything off with a coat of Seche Vite. 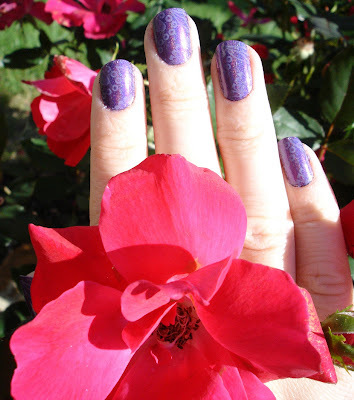 Pretty nails and pretty roses! Yes, I picked out a plushy too.. I have a thing for big cats and I saw this guy and knew I had to have him, since I love clouded leopards. From Beauty Brands, I got the new OPI DS Magic, CG Ruby Pumps, Essie Lilacism and Essie Little Brown Dress. 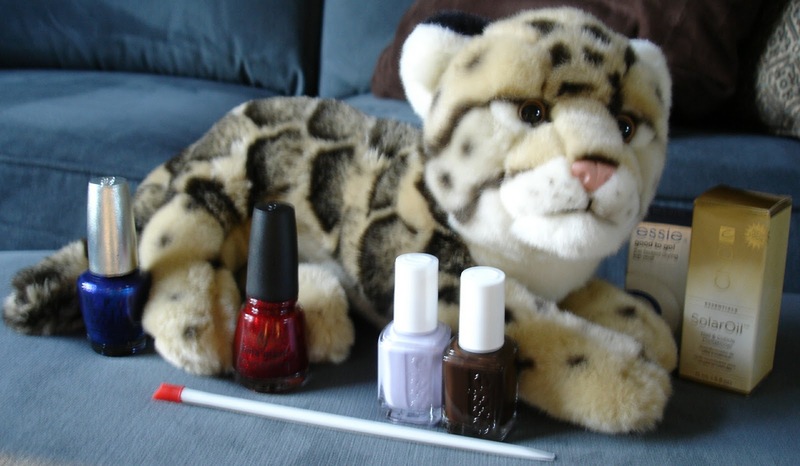 I also got an Essie top coat for free, and some CND cuticle/nail oil. I am attempting to take better care of my cuticles. :) While I was at the hospital I think I got a comment from two of my nurses as well as my doctor how pretty my nails were (I was wearing the 2NITE/OMG combo still, just with one nail cleaned off for the procedure). Always nice when people notice your nails! Which of my new polishes do you think I should try out next? I am currently leaning towards OPI DS Magic, but I love them all. Any suggestions? Yay for surgery presents! 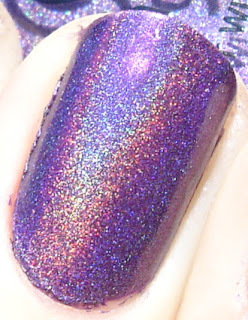 Ruby Pumps is delicious, I love the holo base w/konad! I love the look of Ruby Pumps, it is gorgeous. And I haven't worn a red in a long time, so maybe I will have to give that a try next. it looks very nice! pattern is so delicate! cute.